Message Details now includes the file name under Reason on the info tab. 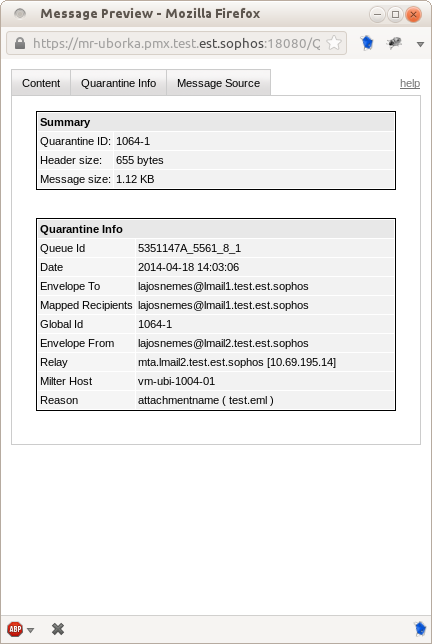 Message Preview now includes the attachment file name under Reason under Quarantine info. 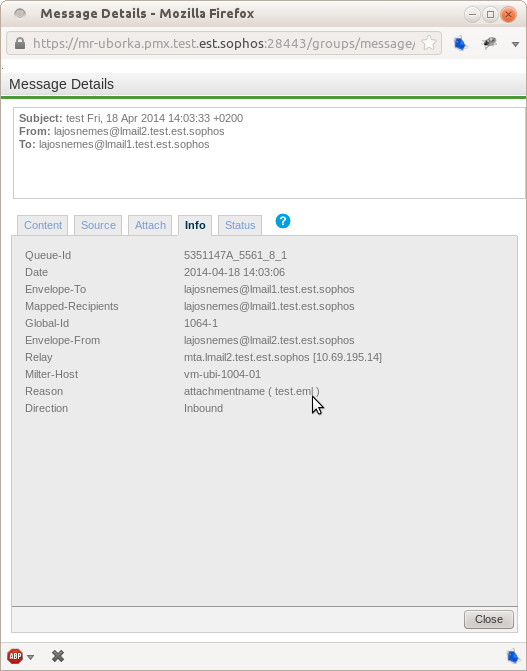 Message Details now includes under Reason the word that was considered offensive. 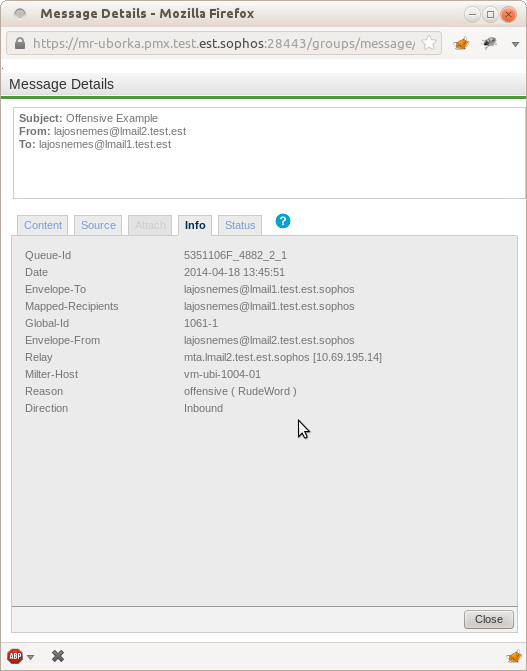 Message Preview now includes under Reason the word that was considered offensive..